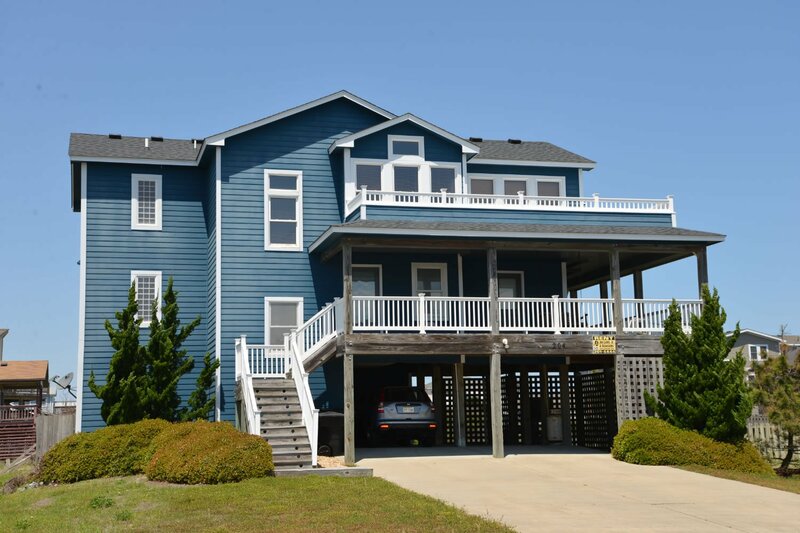 Your family is sure to be thrilled when you choose this outstanding Kitty Hawk vacation home for your Outer Banks retreat. This exceptional home offers Ocean Views & a location that is less than a minutes' walk from the Beach (approx. 250 Ft. to Beach). Offering something for everyone in group, this lovely home is well appointed & has an Elevator serving all levels. Relax by the Private Swimming Pool or kick back in the Hot Tub while the kids enjoy a game of Ping Pong in the ground level Game Room/Den. Very Spacious w/Lots of Decking & Ocean Views. Like to Golf? Each Rental Guest receives 15% off Advertised Rate at Sea Scape Golf Links. Ground Level: Ample Parking, Covered Entry, Elevator, Game Room w/Ping Pong Table, TV, VCR, Sitting Area, Full Bath (shower only) , Access to Patio Area, Private Swimming Pool, Charcoal Grill, & Outside Shower. Mid Level: 4 Bedrooms (2 Master Suites w/Kings, TV, & Full Baths, 1 w/Queen & TV, & 1 w/Duo Bunk & TV), a Shared Semi-Private Bath, & 2 Large Covered Decks w/Furniture. 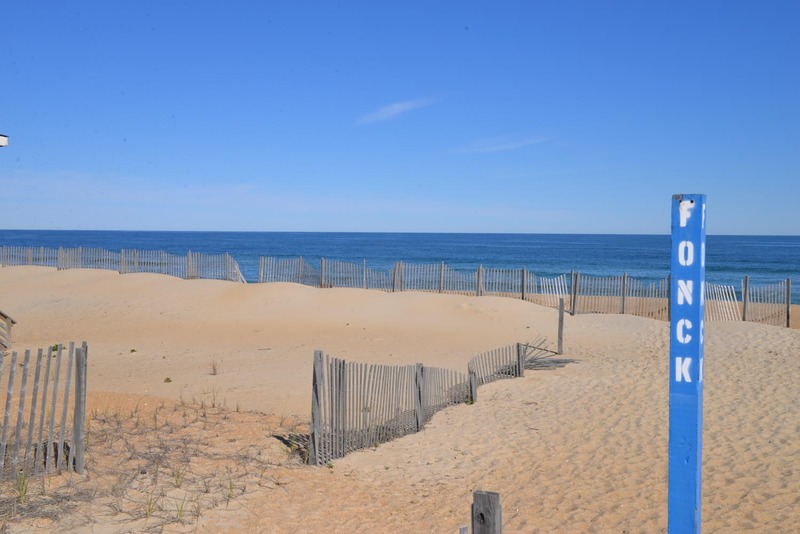 Top Level: Spacious & Beautifully Decorated Living/Dining/Kitchen Area, TV, VCR, DVD, Stereo w/CD, Half Bath, Master Suite w/King, TV, & Full Bath, 2 Sun Decks w/Furniture (1 w/Hot Tub), Screen Porch, & Great Ocean Views! Features Include: C/AC & Heat, Washer/Dryer, Dishwasher, Microwave, Phone, DirecTV, 7 TVs, 1 VCR, & 1 VCR/DVD Combo, Wireless Internet. Occupancy Limit 10. No Pets. This is a Non-Smoking Unit. Thank you for sharing your home with us! We loved the pool and the ocean views! It was nice to have a ping pong table instead of the pool table that seems to be the normal in most houses. The elevator was very helpful for our family. We enjoyed our stay. We definitely will be back. A very beautiful home to rent. Very comfortable spacious home, lots of positives in layout & amenities. Great location, loved your pool! Thank you for a wonderful week in OBX. 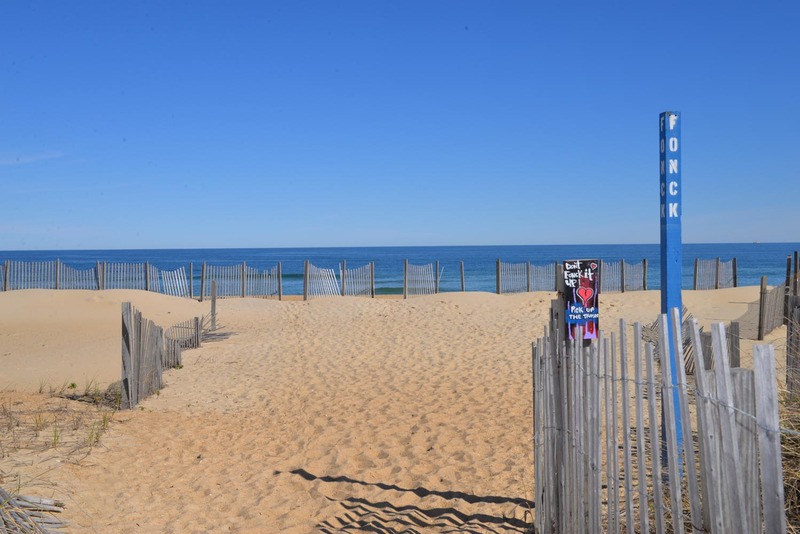 OCEAN, WITH A PUBLIC ACCESS TO THE BEACH ACROSS THE STREET. THIS HOUSE WAS VERY SPACIOUS, MY SON (IN A WHEELCHAIR) HAD PLENTY OF SPACE ON THE 3RD FLOOR TO MOVE AROUND WITHOUT HAVING TO WORRY ABOUT THE STAIRWAY. 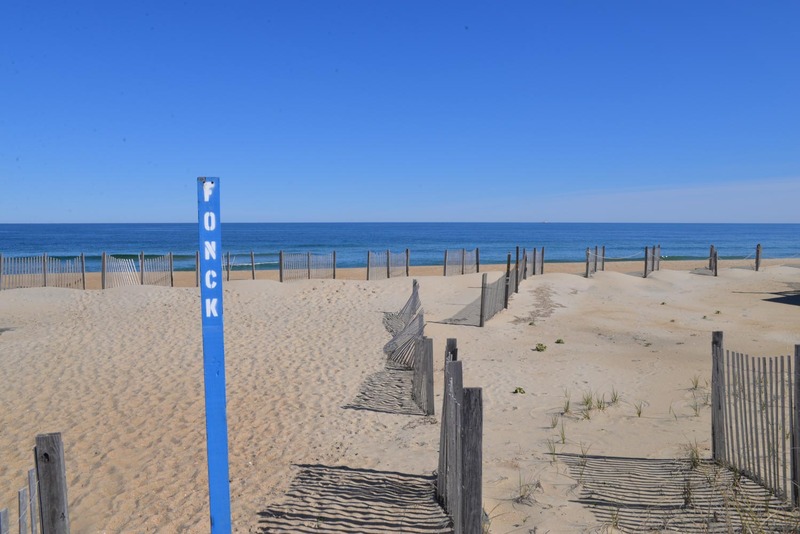 DEFINITELY A \MUST STAY\" HOME ON THE OUTER BANKS." We loved the home. It was comfy and had a great layout. Kitchen was very well equipped. We cooked Thanksgiving dinner with hardly missing a beat from home.